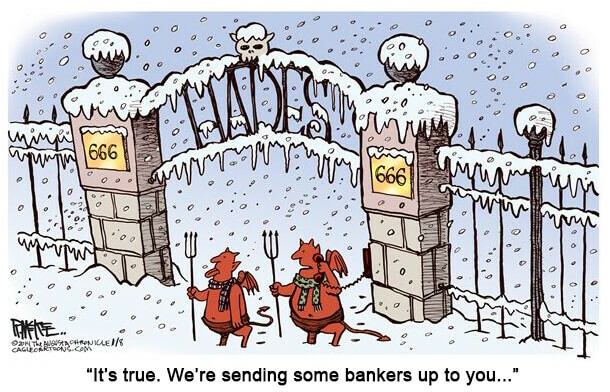 Proof that Hell has frozen over: America’s largest bank lends money to company that actually needs it! The bank is JPMorgan Chase. Typically, banks like to give you money based on what you did in the past, not what you think you’ll do in the future. And they like to have collateral, like real estate, to back up their loans. Well, with the growth we’ve had (617% in the last 3 years according to INC. Magazine), we’re forward-thinking when it comes to finances. And Lena and I are happy renters. Given that, we are thrilled that JPMorgan Chase has given us a $2.3M loan so that we can refinance our existing debt at a lower rate, and have some working capital to expand our product line and increase inventory. On the one hand, we hope this helps us avoid running out of inventory on some of our most popular products, which has happened almost every year for the last few years. On the other hand, we hope it helps us grow even faster… which could probably still mean we have the occasional inventory challenges.